I bought three bottles of Butte Creek beers when I was at Mendocino’s taproom in Ukiah and all but one seem to be old. That’s a really terrible way to run a taproom (but that’s the subject for another sermon). Of the three that were old, Butte Creek Organic Porter has at least held up fairly well. Tangy to be sure, but the base brew is still detectable. I’m sure this would be more than simply an above-average beer when it’s fresh. I poured a 12oz bottle into a nonic pint glass. It was bottled on 8/31/14 and cost $3 ($0.25 per ounce). Appearance: Dark brown hue, though more of a dark burgundy when held up to the light. Pours to a small layer of tan foam which never completely dissipates and leaves minor lacing. Smell: Sweet dark malts with slight fruity character. Mild though. 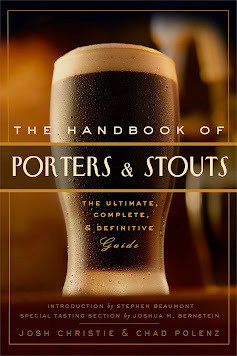 Taste: What separates porters from stouts is that they rely on their sweetness rather than intensely roasted and bitter malts. That’s evident here as there’s no roasty sensation at all, though it’s certainly nothing in the amber malt range. Mild notes of dark fruit or dried fruit with a hint of milk chocolate and perhaps some iced coffee undertones. I do get some slight metallic or astringent tanginess on the finish, but it’s fairly minor. What’s here is at least enjoyable, but not amazing. Drinkability: For an old bottle, Butte Creek Organic Porter still drinks surprisingly easy. The mouthfeel is a little tepid, but in no way flat or watery. Soft and smooth in texture with a finish to match; it leaves virtually no aftertaste. At 6% ABV it should have more body and complexity than this, though. Perhaps it does when it’s fresh but it’s unlikely I’ll ever know.